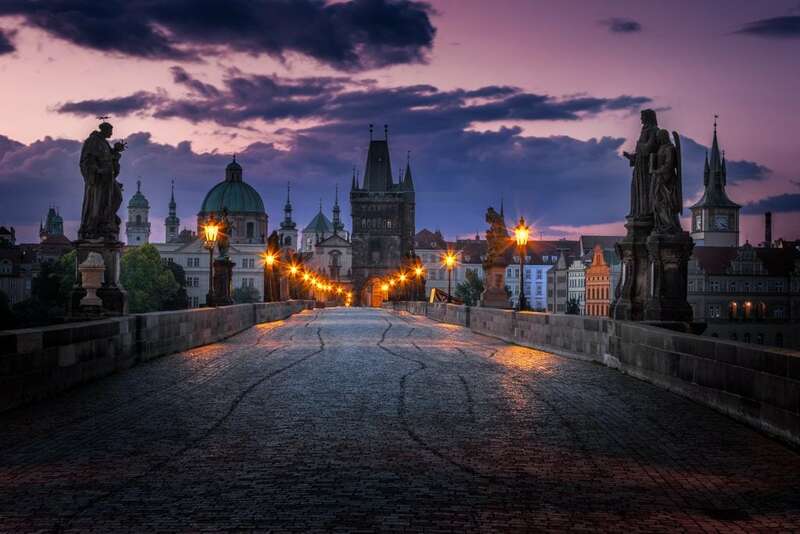 Charles Bridge has two towers – one from the side of old town and one from the Mala Strana district. This one closer to the old town is open for visitors. Originally, I planned to take photos of just the bridge, but there were simply too many tourists. So, I went up hoping to have some good composition from the tower, where I would have city view and the sunset together in one shot. Tourists from around the globe visit Prague Old Town, attracted by its well-preserved historic sights. When you cross the Charles bridge though, you will find yourself in a bit different world. 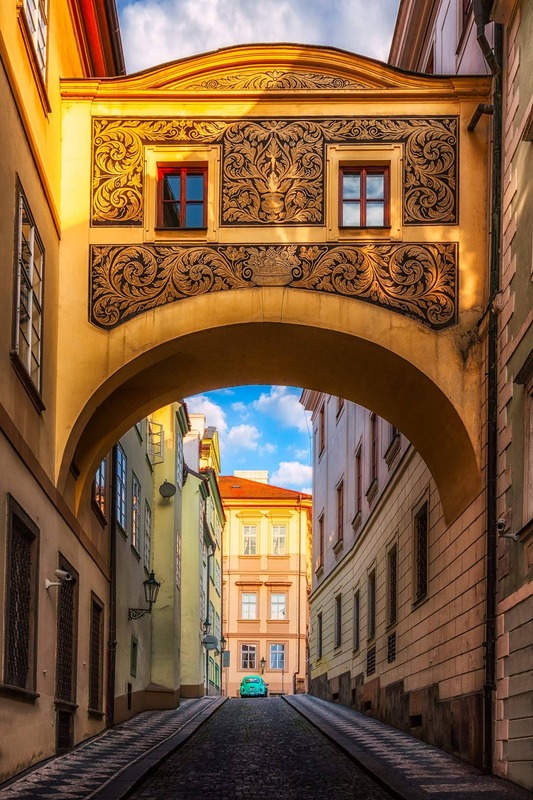 Malá Strana is known for colorful streets and cozy cafés. However, it is also a place with ornamental buildings in which are embassies. The name of the Vinohrady district of Prague literally means ‘vineyards’ in English. While nowadays this is an urban area, in the middle ages this land was covered in vineyards. On the photo you can also see the Roman Catholic Church “Nejsvětějšího Srdce Páně” or “Church of the Most Sacred Heart of Our Lord”. 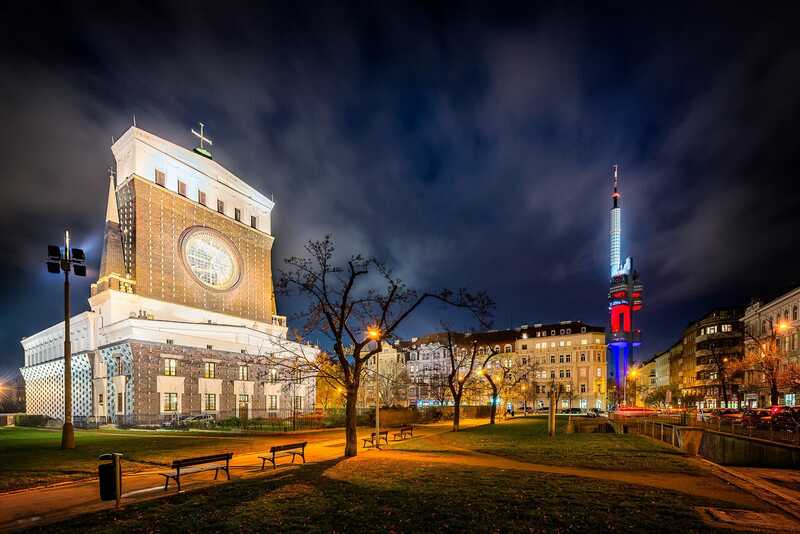 Another significant city sight, visible here, is the Žižkov Television Tower, adding a high-tech touch to the landscape. During our last stay in Prague I decided to make my way to Prague Castle, which was built in the 9th century as the largest ancient castle in the world, before any day trippers would be there in order to capture it in the golden light of the shy morning sun. I love to get my camera out before the day dawns and watch the world slowly wake up – to me this is very special. As I have mentioned before, there is hardly anything more exciting to me than watching a city wake up in the early hours of the morning. 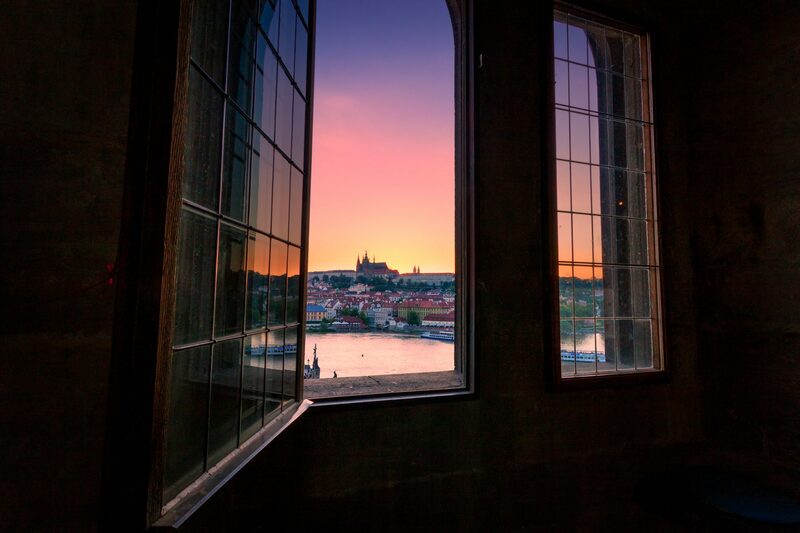 Especially when the city is so close to my heart, like the capital city of the Czech Republic – Prague. The image shows the Charles Bridge, one of the oldest stone bridges in Europe, which sprawls over the river Vitava in the middle of the Golden City. 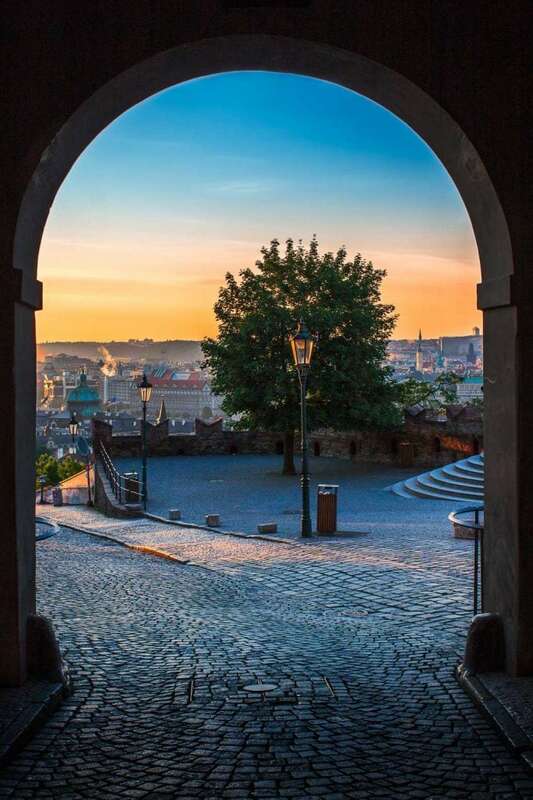 It connects the Old City with the Mala Strana with a total length of about 516 meters.